One of the best aspects of my job is meeting inventors from myriad fields who always have inspiring stories to share about their lives and inventive careers. 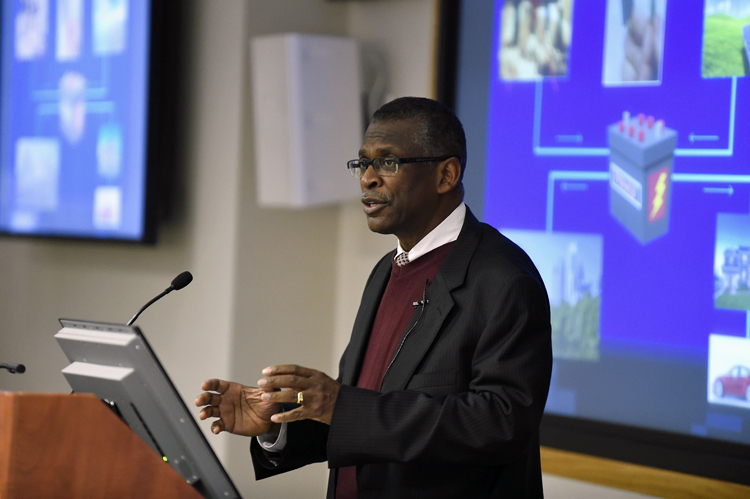 I first heard about Super Soaker inventor Lonnie Johnson many years ago when a colleague interviewed him for background research contributing to the Lemelson Center’s Invention at Play (IAP) exhibition. Since then I have long looked forward to the opportunity to invite him to the Museum for a special program to talk about his engineering career and many inventions along the way. I believe he is the perfect person to kick off the Lemelson Center's 2017 Innovative Lives series here at the Smithsonian's National Museum of American History on February 2, 2017. Lonnie proved his high-school prize was no fluke when he earned a BS degree in mechanical engineering in 1973 and an MS degree in nuclear engineering in 1975 from Tuskegee University in Alabama. (Later he also received an honorary PhD in science from Tuskegee for his professional accomplishments.) According to his official Johnson Research and Development Co. biography, after graduate school he became a research engineer at Oak Ridge National Laboratory, then joined the US Air Force and served as acting chief of the Space Nuclear Power Safety Section. In 1979 he accepted a position at NASA’s Jet Propulsion Laboratory (JPL), where he worked on the Galileo mission to Jupiter as Senior Systems Engineer. A few years later he returned to the Air Force to serve as an Advanced Space Systems Requirements Officer at Strategic Air Command and then as Chief of the Data Management Branch, SAC Test and Evaluation Squadron, at Edwards Air Force Base. He helped develop components for the stealth bomber and earned medals for his Air Force work. In 1987 Lonnie returned to JPL to work on the Mars Observer project and early stages of the Cassini mission to Saturn project, earning multiple NASA awards for his spacecraft system designs. 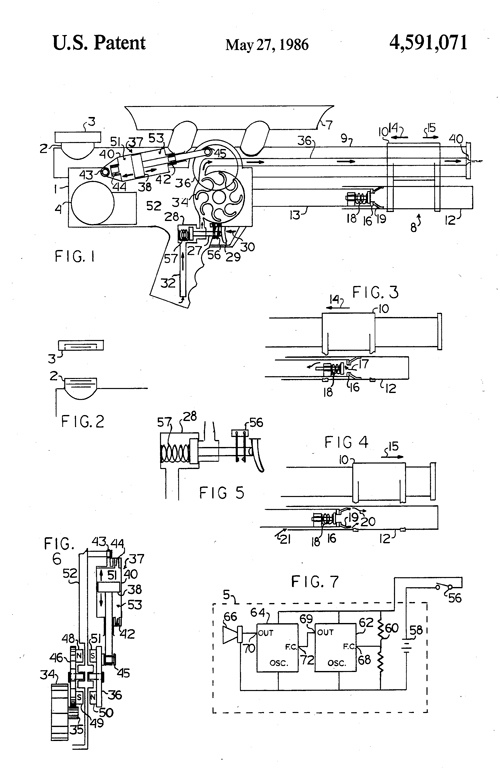 Lonnie Johnson's US Patent 4,591,071 for a "Squirt Gun." By 1989, he finally licensed his Super Soaker water gun to Larami Corporation, which was purchased by Hasbro six years later. Within only the first two years on the market, the Super Soaker generated over $200 million in retail sales and became the number one selling toy in the US—far more successful that Lonnie could have imagined when he was machining the prototype’s nozzle on his workbench at home. By 2016 that sales figure was up to around $1 billion. 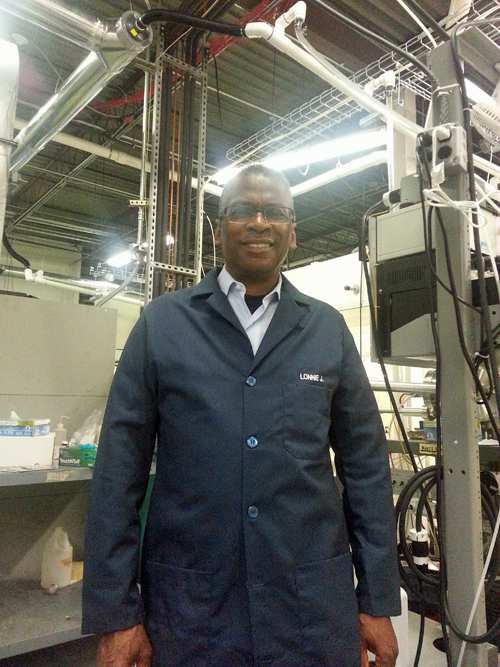 Lonnie Johnson at work in one of the Johnson R&D labs. Courtesy of Johnson Research & Development Co., Inc. However, he has also invented more mundane things along the way, such as a “wet diaper detector” (US Patent 5,266,928) and a “portable multimedia projection system” (US Patent 6,966,651), and a “hair drying curler apparatus” (US Patent 5,299,367) co-invented with Francis LeVert. Important to note that he didn’t stop working on toys, either. Johnson R&D has a license agreement with Hasbro for the design, engineering, and development of Nerf soft foam dart guns. Lonnie was inducted into Alabama’s Engineering Hall of Fame in 2011—the first African American engineer to be so honored. If you’re interested in learning more about Lonnie’s work from Super Soaker to engine conversion technology, watch his TEDxAtlanta talk “Revolutionary Designs for Energy Alternatives” or, better yet, attend the Lemelson Center’s program Innovative Lives: A Conversation with Lonnie Johnson at the National Museum of American History on Thursday, February 2 at 6:30 p.m. Tickets are free; register at https://lemelsoncenter-innovativelives.eventbrite.com.